Fluoride is a known neurotoxin with severe health effects, but it is still being added to our water supplies all across the country. 1. It will tell you how to remove fluoride from your body that has already accumulated. 2. You will learn how to reduce your overall fluoride exposure and avoid it in the first place. All statements are research-based and backed by real studies. No mumbo jumbo, no distortion of the facts. Ready? Let’s go! Fluoride in our bodies – Does it accumulate? And if so, where is it stored and for how long? Does fluoride accumulate in the human body? And if so, where is it stored and for how long? Brushing your teeth with fluoridated toothpaste, drinking fluoridated water, and eating foods rich in fluoride are just 3 of a multitude of factors that determine how much of the neurotoxin you ingest on a daily basis. The neurotoxin has even been linked to causing a decline in cognitive abilities. However, how well the urine excretion works and the extent to which absorbed fluoride is retained in your body also depends on your urine’s pH level (and under some conditions flow rate). More acid urine means an increase in fluoride retention. and metabolic as well as respiratory disorders. The vast majority of fluoride that your body stores – 99% to be precise – accumulates in calcified tissue, meaning your bones and teeth. The remaining 1% ends up in soft tissues, which includes your brain and more importantly the pineal gland (more on this below). In bones, fluoride binds to calcium phosphate compounds. Over a whole lifetime, relatively high levels of fluoride can deposit in your skeleton this way, which may result in joint pain and stiffness sometimes confused with arthritis. The good news is that this process is reversible, as fluoride can be mobilized through bone remodeling. The less fluoride is already stored in your skeleton, the better. FYI: Bone remodeling is a “process where mature bone tissue is removed from the skeleton (…) and new bone tissue is formed“. (Wikipedia) In adults, about 10% of the entire bone structure is remodeled within one year. A study conducted by the University College of Sciences (Osmania University) in Hyderabad, India has shown that an increase in the concentration of sodium fluoride in drinking water fed to rats directly led to an increase of fluoride deposition in their brain tissue. But even more affected by fluoride overload than our brain is a tiny organ called pineal gland. The pineal gland sits between the two hemispheres of your brain completely unprotected by the blood-brain barrier. Its task is to produce and secrete melatonin, for example to promote sleep. Due to the fact that the pineal gland has a rich blood supply and is a calcifying tissue, it too can accumulate fluoride. In fact, researchers have found higher fluoride-to-calcium concentrations in the pineal glands of fluorosis patients that had died in old age, than concentrations found in their bones. Calcification of the pineal gland as a consequence of ingesting too much fluoride can lead to poor melatonin production over time, a possible cause for sleep disorders, fatigue and depressions. Now that we know why it’s important to get fluoride out of our bodies, the question remains how to remove it. As mentioned above, the retention of fluoride in your body is dependent on the pH level of your urine. Higher acidity results in less fluoride being flushed out of the system. And because your diet has the biggest influence on your body’s acid-base balance, you have to make it a priority to eat more alkaline than acidic foods – at least most of the time. What are alkaline foods? All sorts of vegetables, most raw fruits (not juices), some beans & nuts, and most oils. What you should try stay away from is too much coffee and black tea, meat, fish, eggs, syrup, soy sauce, vinegar and alcohol. As a general rule, it’s probably easiest if you prefer raw over processed foods. It’s funny: While daily exercising may reduce the negative effects of too much fluoride intake on blood sugar regulation, acute and overly intense training seems to result in a rise of fluoride concentration in blood and simultaneously a decline in renal clearance and urinary excretion. What does this mean for your fluoride detox? Regular work outs are helpful. Going too intense might be detrimental. In the context of fluoride detox, a number of supplements are supposed to boost urine excretion. The following is a complete list of those that are scientifically proven to work. The element boron has shown to help with skeletal fluorosis and is essential for healthy bones and joints. According to research, ingesting 5-6 mg per day is the optimum amount for arthritis prevention even in old age. It can be found in many organically grown foods including all sorts of nuts, especially almonds, hazelnuts and peanuts, grapes, apricots, prunes, dates, kidney beans, chickpeas and lentils. Now, some people might prefer to supplement their diet to ensure sufficient daily boron intake. One of the most popular supplements: Borax, a rare but naturally occurring mineral that contains boron and acts as a defluoridating agent that leaches fluoride from your body. Of course, most people know borax as a multipurpose cleaner and detergent booster. Multiple online sources say that you could simply mix between 1/32 to 1/4 teaspoon of pure borax with a quarter gallon (1 liter) of water and sip that cocktail in small portions throughout the day. A pinch of sea salt is supposed to bring even better results. we do not want to make false statements about the purity of any random borax product taken from the supermarket shelf. Not all of them are of food-grade quality. The FDA has declared borax illegal for use in foods. The European Chemical Agency has classified the mineral as reprotoxic. What happens if you suffer from a boron overdose? In excess, boron can have harmful effects as it inhibits a number of enzymatic activities in the human organism. How much is too much? According to research, negative side effects can start to occur in the lower gram range, which is many, many times more than what you can ingest with a normal diet – even if you add a supplement. Too much fluoride can cause metabolic disorders. [19,20] So it’s good that in a 2012 study, scientists found that tamarind leaf powder helped to restore carbohydrate, lipid and antioxidant metabolism in rats that were exposed to high levels of fluoride in drinking water. Another study – this time with humans – has shown that tamarind intake (10g daily) leads to a significant increase in fluoride excretion via urine. Tamarind has been used in Ayurvedic medicine for ages. Pulp, bark, seeds, fruits and leaves can be turned into teas, powders & spices, extracts and tinctures. Curcumin is what gives the spice turmeric its yellowish color. It is also known as an anti-inflammatory powerhouse. What’s more, when ingested in high enough dosages it seems to have a neuroprotective effect. In an experiment with mice, curcumin supplementation has shown to significantly reduce the toxicity of fluoride and its brain-damaging effects. Our recommendation: Add raw turmeric or turmeric/curcumin powder to your meals, juices and smoothies. Iodine is highly important for our bodies. It plays a major role in cell metabolism and is needed for the production of thyroid hormones. Supplementation with iodine clearly results in increased urinary excretion of fluoride..
What’s more, fluoride in drinking water is less toxic when accompanied with sufficient iodine intake. At the same time, you want to watch out because too much iodine can do more harm than good. Especially those with a pre-existing thyroid disease have an increased risk of developing a thyroid dysfunction. The same goes for the elderly, babies and fetuses. All in all, the recommended daily amount of iodine intake for adults is 150 μg. If you struggle with reaching this threshold, consider adding more sea fish and sea vegetables – think kelp or wakame – to your diet. Other iodine-rich foods are eggs, beans and potatoes. As a last resort, check out iodine supplements which are widely available and relatively inexpensive. A study with fluorosis patients suggests that, even in excessive dosages, vitamin C has no influence on urinary fluoride excretion. However, similar to curcumin, vitamin C might help to prevent your kidneys from being harmed by too much fluoride intake. In an animal study, selenium has proven to be an “antidote agent against fluorosis” protecting the brain of mice against the adverse effects of sodium fluoride in their drinking water. What’s more, a second study has shown that supplementing rats exposed to fluoridated drinking water with a combination of zinc sulfate and sodium selenite (contains selenium) could counteract kidney damage. Interestingly enough, the two antioxidants are more effective when administered together than alone. Great sources for selenium are brazil nuts and more or less all sorts of sea fish and meat. Zinc can also be found in meat, fish and nuts and in addition to that seeds. Typically between 70 to 90% of the fluoride that you ingest is absorbed in your intestines. The exact percentage depends on the form of fluoride. For highly soluble sodium fluoride, almost 100% is absorbed. The good news is that you can reduce this percentage by adding more calcium and magnesium to your diet[32,33]. Lower calcium and magnesium intake results in enhanced fluoride absorption. Where to find magnesium and calcium? Avocado, nuts, seeds, fish, whole grains, bananas and leafy greens. The goal of a chelation therapy is the detoxification of heavy metals. Fluoride, however, is a salt. Whether or not chelation has any impact on fluoride content in the body, we do not know. We couldn’t find any scientific research for or against it. One of the many functions of the liver is to break down toxic substances. 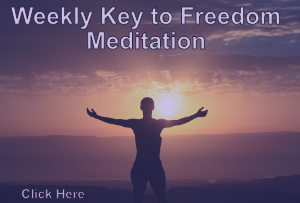 It is the most important organ for the detoxification of our bodies. Still, if so called “liver cleanses” really help with fluoride detox remains to be proven. Many online sources say that detoxing from fluoride can cause symptoms such as headaches and sluggishness. Of course, they might speak from personal experience. At least we couldn’t find any scientific data to support these claims. Nonetheless, it makes perfect sense to drink plenty of unfluoridated water while detoxing to ensure that all excessive fluoride can be flushed out. Even better than detoxing is to reduce your exposure to fluoride to a minimum to stop it from accumulating in your bones, teeth and brain over time. This one is the most obvious of course. You want to stay away from fluoridated water, which includes most tap water and also some bottled water (even some spring water brands). 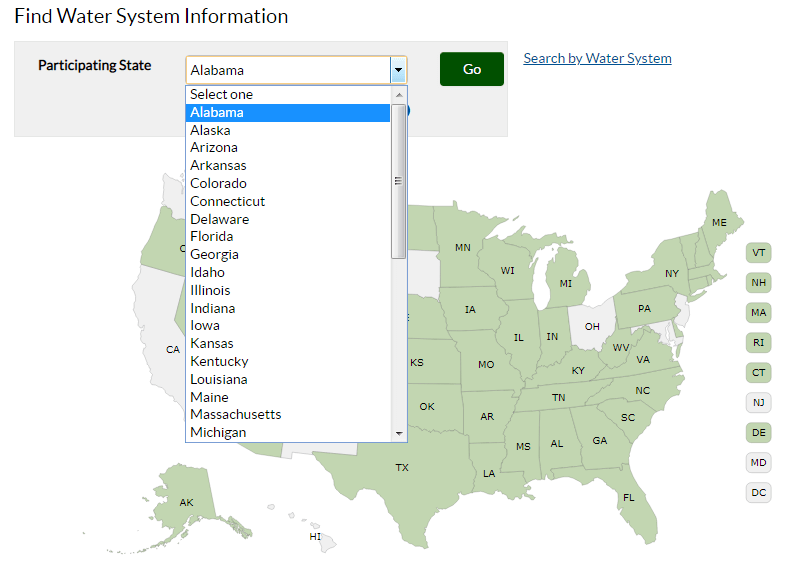 To find out if your tap water is enriched with fluoride, follow this link and choose your state from the dropdown menu and hit “GO” (or click on the map). Please note: Unfortunately, not all states participate in the database. If that’s the case for your state, it’s best to contact your provider directly and ask about fluoride. 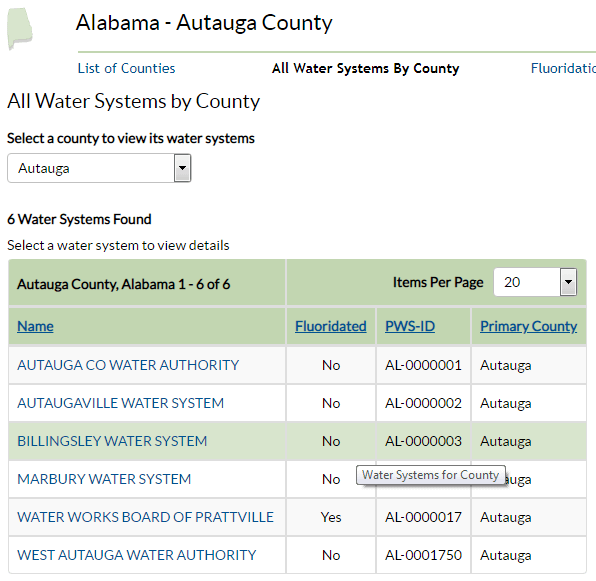 On the next page, choose the county you live in and look for your supply system in the table. In the second column it says “Fluoridated” – “Yes” or “No”. If it says “No”, at least you don’t have to worry about added fluoride! If it says “Yes”, click on the name of the system to further check how much is added. Oftentimes that’s 0.70 mg/L – the minimum amount recommended by the U.S. Department of Health and Human Services. The recommended maximum is 1.2 mg/L. Fluoride occurs naturally in surface and groundwater. That’s why we recommend you to take this one step further and also check your water supply system for natural fluoride content. How can you do that? 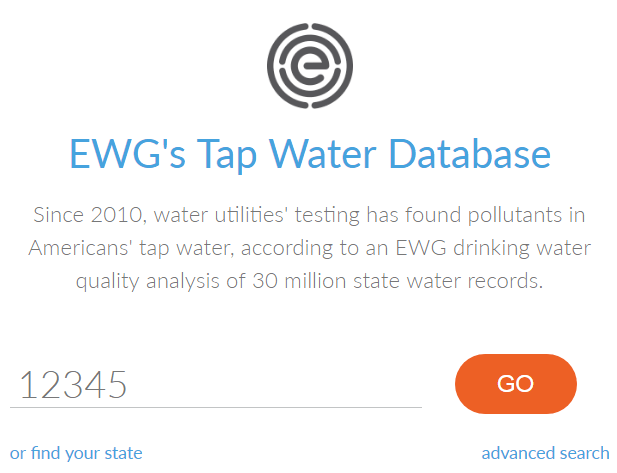 Either use the EWG’s Tap Water Database or contact your supplier directly and ask for the latest water quality report, which by the way are always free! In case you are on well water, you have to take a direct sample and have it tested by a professional lab. No fluoride is added to your water and none was found in recent tests? Great! It looks like you can drink straight from the tap without having to worry about the neurotoxin. But remember that it’s still possible that there are other harmful contaminants lurking in your water! You apply a specialized water filter. Why specialized? Because regular water filters based on activated carbon medium are completely ineffective against fluoride, such as Brita and PUR filter pitchers. Most reverse osmosis filter systems remove at least 95% F–. Another option are filters working with activated alumina or anion exchange resin. Your last option is to use a water distiller. You can learn more about each filter type in our fluoride guide here. You opt for purified, non-fluoridated bottled water, which you should find in every grocery store. Look out for labels that say “distilled water” or “purified by reverse osmosis“. In case fluoride was added to the water, it must be declared on the label. The problem with bottled water, however, is that just like plain tap water, it might contain harmful impurities other than fluoride. Reducing the amount of fluoride you ingest on a daily basis by choosing fluoride-free drinking water is one part of the equation. In addition, there are other simple steps you can take to reduce your overall exposure in everyday life significantly. One of them is eating organic. Why does eating organic make a difference? Because pesticides and insecticides used in conventional agriculture oftentimes contain fluoride, such as the mineral cryolite. This is how these substances can end up on our dinner plates – or glasses in the case of wine. On top of that, processed food is more likely to contain fluoride in general. This likelihood increases with every processing step. One the one hand, this has to do with the potential use of fluoridated water (and salt) when producing bread, infant formula, fruit juice, soy milk and beer for example. On the other hand, fluoride is often used to preserve canned food. You should also avoid food containing mechanically separated chicken (MSC). MSC is often high in fluoride, which has to do with the separation process that often results in bone particles in the final product. These bone particles are the fluoride source. MSC is one of the ingredients in some infant foods, toddler foods and canned meats. By the way, if you’ve had enough of vegetable salad for this week, at least make sure to carefully read the label of any processed food you pick. What does the ingredient list say? Also, you can find a list of processed foods highest in fluoride here. Lastly, always use regular instead of fluoridated salt. The same goes for some species of coffee. Don’t buy fluoridated toothpaste especially when you have small kids. Our little ones don’t have a well-developed swallowing reflex yet. They tend to swallow a lot of toothpaste while brushing. Of course, the same applies to gels, mouthwashes and other dental products. As an alternative, you can brush with fluoride-free toothpaste, sea salt, tooth powder made from herbs, or toothpaste soap. You also should not get a fluoride get treatment at your dentist. The gel contains extremely high amounts of fluoride. Avoid pans, pots and other cookware with Teflon coatings. Teflon contains fluoride which has shown to leach into water during cooking, but also when used for storage. Make sure that medications you take are free from fluoride. If not, you can always ask your physician for a suitable alternative. You can find an index of fluorinated pharmaceuticals here. When showering or bathing, can your body absorb fluoride via the skin or through inhaling? Truth be told, we don’t know. What we know is that fluoride is not as volatile as chlorine meaning that at least you won’t inhale as much of it. Still, if this is something that’s bothering you, the best solution is to buy a shower or whole house fluoride water filter, which you can learn more about here. How long does the detox take? That differs from one person to another and is impossible to predict. Theoretically speaking, it depends on how much fluoride has accumulated in your body over the years. If you really want to know, you’d have to measure how much fluoride is contained in your urine. Once you see a drop, all redundant fluoride might have left you body – but that’s just a theory! Is it safe to detox while being pregnant? We really don’t know. Adding some curcumin or tamarind to your diet probably won’t hurt, but definitely see your doctor before you make any radical changes. How long to detox before pregnancy? Again, it’s most likely that this depends on how much superfluous fluoride is stored in your body. The more there is, the longer the detox is going to take. But what’s more important is that you avoid too much fluoride exposure while you are pregnant. Studies have shown that the placenta not only accumulates fluoride, it also allows rapid diffusion of fluoride from mother to fetus and does not act as a barrier. Does cinnamon detox fluoride from my body? Does vitamin c in bathwater help to detox fluoride? As far as we know, your skin can’t absorb vitamin C, so the answer is no. Does alkaline water benefit fluoride detoxification? Can you remove fluoride from water using Tulsi (holy basil)? No idea. There are studies saying that tulsi is an effective fluoride absorbent. Other research suggests the opposite. 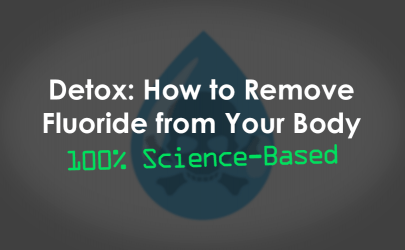 If you found this article helpful, please share it with your family and friends, so they get the chance to learn how to do a proper fluoride detox, too. And if you have any questions or comments, please share them below! Salaam, namastey, salute my dear , thank you , thank you so much .Water we are and the water I AM . Always love as we are one light for all with the Victory of the light .